For five years, a team of scientists and mediums gathered together in the small English village of Scole and over 500 investigations later, the group produced more for the possibility of life after death than any other experiment in the history of the paranormal. The Scole events were so amazing and so constant that it was possible for the team to investigate the phenomena under controlled conditions. The scientists and mediums involved describe The Scole Experiment as the most significant afterlife investigation ever conducted in the Western world. Some amazing events were witnessed during the experiment, including the two-way communication with a number of deceased people, video footage of spirits, handwritten messages that were on factory-sealed, unopened photographic film, the bodily form spirits and a lot more unbelievable occurrences that challenge the laws of science. 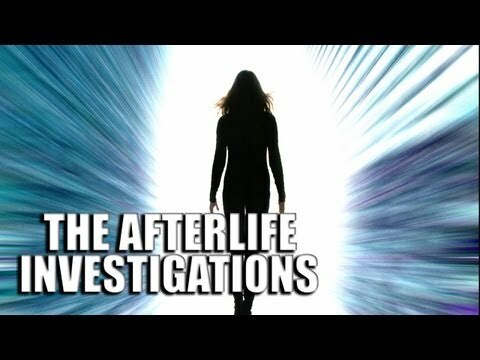 Narrated by journalist Donald MacIntyre, The Afterlife Investigations presents fascinating scientific evidence for life after death. For the first time in its history, the Catholic Church allowed scientific experts and historians openly test the veracity of the remains of reported saints.